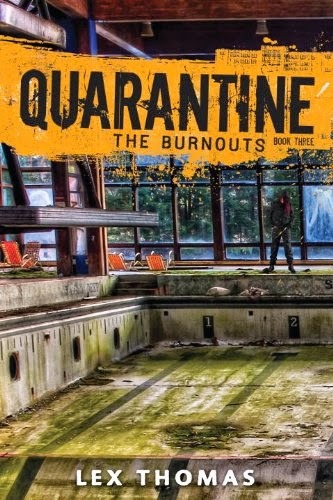 For this week's Zurvival Saturday I want to share a bunch of Free Zombie books I've found. Usually on Freebie Friday I try to limit the number I mention since I realize not everyone is as obsessed with the genre as I am. 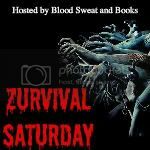 One of my favorite Authors has his book Sea Sick set to Free currently and that got me thinking maybe every once in awhile I should make A Zombies only list and shove it onto Zurvival Saturday. That way those who really love the genre like me can find some awesome new reads. Anyway enough rambling. The Zombie freebies listed below are currently available (at time of posting), I have no clue when they will stop being Free so best download while you can. Happy Reading!! Have you read any of these? If so, Which ones? Would you like to see more of these in the future? Leave your answer in the comments below. I love reading your responses. If you would like to participate in this or any upcoming Zurvival Saturdays, grab the button below and link me in the comments so I can check it out. Sweet! Thanks for the feedback enjoy your new reads.